Ahhhh! The mercury drops into negative numbers and, at last, winter in Wisconsin feels like winter in Wisconsin! 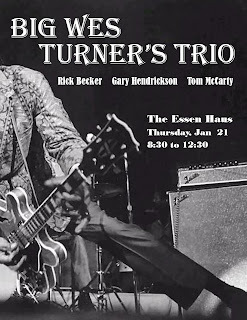 Pull on your longjohns and come down to The Essen Haus, where it’s always warm and the band is always rockin’ (at least on Thursday nights of the odd numbered weeks of the month). 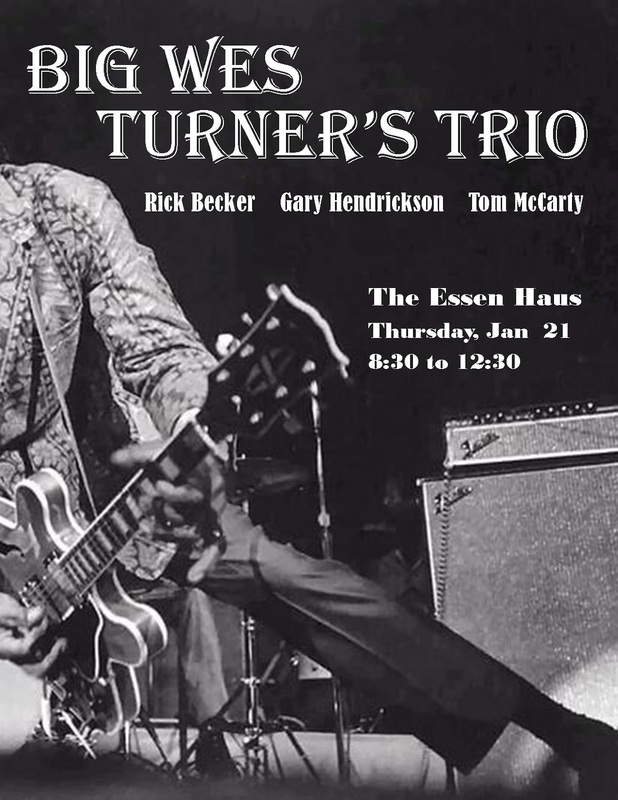 If you can’t do that, at least visit the new Big Wes Turner’sTrio facebook page and click on the "like" button. It’s the least you can do, and it makes us look good, something that otherwise requires a lot of work in Photoshop. Jan. 21, BWT3 at ye olde Essen Haus. Jan. 23, with The Cash Box Kings at the KnuckledownSaloon. Feb. 4, BWT3 at ye olde Essen Haus. Feb. 18, BWT3 at ye olde Essen Haus.